April Moore announces her bid to unseat 26th District State Senator Mark Obenshain. 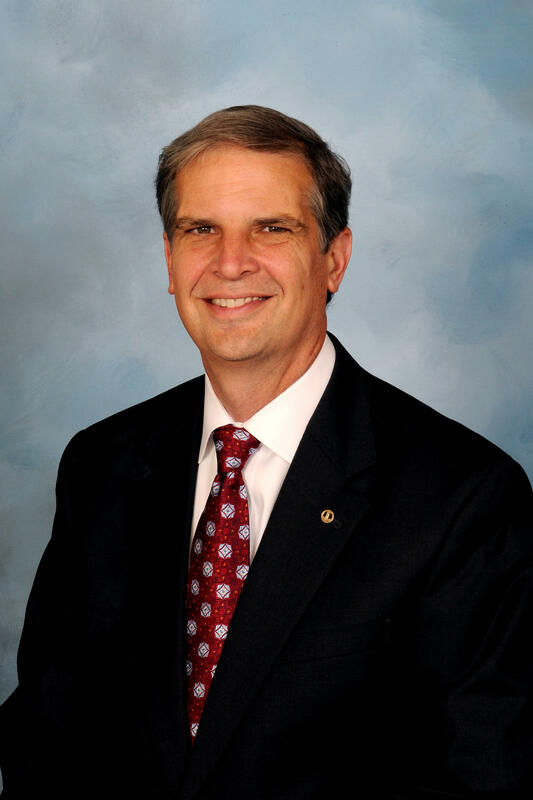 Obenshain has held his Senate seat, representing much of the Shenandoah Valley, since 2004. Republican Senator Mark Obenshain has a new challenger this fall for his state senate seat representing part of the Shenandoah Valley. WMRA's Andrew Jenner has the story. APRIL MOORE: I decided to take a look at how our state of Virginia is responding to the climate challenge, and I was appalled at what I found. It’s more than a failure to respond to climate. That failure is part of a larger picture. Too many of our elected representatives are sacrificing the people to serve the big, moneyed interests. Moore will challenge Republican State Senator Mark Obenshain for his seat representing the 26th District. Alongside climate change, her campaign will focus on ethics reform and resisting the influence of big money in politics. MOORE: It is how we deal with these three issues that will do the most to determine what kind of Virginia, what kind of America, and what kind of a planet our grandchildren will inherit from us. And Mark Obenshain is on the wrong side of all three issues. Moore is a 62-year-old writer and activist from Shenandoah County. She’ll run as a Democrat in a heavily Republican district mostly covering the Shenandoah Valley between Harrisonburg and Front Royal. In 2007, the last Democrat here to challenge Obenshain for his seat earned less than 30 percent of the vote. But Moore says her core issues of climate change and government accountability are ones that voters from across the political spectrum can get behind. MOORE: It is definitely in the interests of the big money to have us focus on the issues that divide us, like abortion, guns. Liberals and conservatives alike need to focus on what is absolutely essential right now. It is absolutely essential that we do not lose our democracy to the big money. And that is what’s happening. In an emailed statement, Obenshain said he has “fought for our shared Valley values of limited government, individual freedom and personal responsibility” and looks forward to a “robust discussion focused on the issues that are important to the citizens of the 26th District.” He and Moore will have almost eight months to do that between now and the election on November 3rd.